Sections of this guide were enhanced by expert fly fisher Sean Woodburn. 1 What’s Fly Rod Weight? Fly Fishing not only requires precision but also the right equipment. 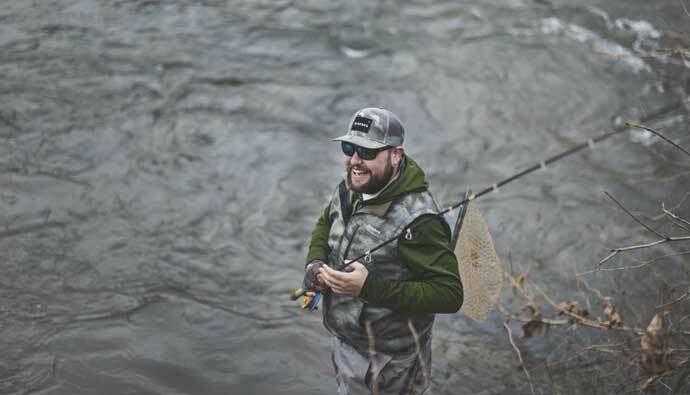 It’s a tight-knit community and is driven by the passionate fly shop owners who help steer the whole community towards what’s best to use. I always recommend that you find a shop that you like and talk with the owner. They’ll set you on the right path, however, if you don’t have a shop nearby, here’s a guide to help you get started. One thing to be aware of is the new up-and-coming brands that are on Amazon but not in fly shops. A good rule of thumb, if the fly shop doesn’t carry the rod, don’t bother with it. They shot themselves out of the water 30-years ago when they started undercutting shops. The only places you’ll find Fenwick anymore is Bass Pro Shop and Sportsman’s Warehouse. It’s seldom you’ll find Fenwick in real fly shops. It’s shame because they were the cornerstone at one point and they made some business decisions that pretty much got them blackballed. That’ being said, trust in what your shop owner’s carry. If you can buy from your local shop do so, otherwise, feel free to check out some of the brands they carry but can be found online through this guide. A rod’s weight rating denotes the weight of line that should be used with it. If you have a five-weight rod, it’s made to be fished with a five-weight line. When determining what rod weight you should use, there are several things to consider. 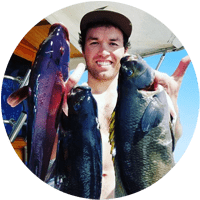 Of them, the type of water you’re fishing (the distance of your casts), prevalent weather conditions, fly size and fish size are most important. Typically, the larger the fish, heavier the fly, larger the body of water and stiffer the wind, the heavier weight rating your fly rod should have. It says you buy a five weight rod to cast a five weight one. It’s worth noting that you can usually cast one weight higher with a weight forward line. There are different kinds of fly lines. Casting a double taper or a five weight line will work well. They both weigh the same in the first 30 feet. But interestingly, most of the weight in a weight forward is concentrated towards the first part of the line. And the rest of it’s kind of skinny and you can actually line up a bit. Your five weight rod will throw a five weight forward, a five doubled taper, and it’s going to throw a six weight forward pretty well. PLUS, it’s going to throw a six or seven shooting line too. That means you can go two lines up on a shooting line because it’s just 30 feet of fine line with monofilament behind. With a five weight rod, you’re going to cast five weight doubled taper or weight forward, a six weight forward and a six or a seven shootings taper. It’s kind of a neat little bit of versatility there. It’s really neat with these newer rods that we have too because if you’re fishing a high-performance rod from one of the better manufacturers, say a five weight rod, that’s a trout rod, right? You can use that seven shooting head on that rod with no problem and use it as a light steelhead rod and it will handle the fish. Pretty amazing. A larger fish, larger fly, a larger rod is basically all right. However, newer anglers should understand it’s all based on the fly size. A nice formula for fly size versus tippet to leader size dictates which fly line we use, we break those rules all the time when we have to deal with what your guy mentioned. For wind, a heavier fly line is the only way to do it. Even if you’re fishing a small bug. Get a lesson, watch YouTube, but really get a lesson…go to the shop, find a guide, and join a club. I know you might want to have an explaining guide, but this is an area of fly fishing where you should have an apprentice type mind. Get some equipment, find an instructor, then practice, practice, practice. In some cases, fly rods can work better than conventional or spincast setups. Fly rods make certain baits mimic live prey more closely. This would be true in the case of topwater flies. 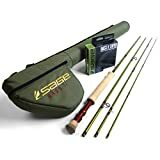 Sage makes a fly rod targeted at bass, called the Sage Bass II Fly Rod. This fly rod is tough enough to handle the toughest bass. Sage Bass II Bass Fly rods are designed to be sensitive but still allow for a solid hookset and hold up to a fight. Take the rod apart when you are done fishing to avoid stuck ferrules. Completely air dry your rod and place the rod in a cloth bag and tube before storing. The rod tubes can trap moisture, which can swell reel seats and ruin the rod finish. To protect the tip, it is best to bag your rod with the tip top and cork handle up. 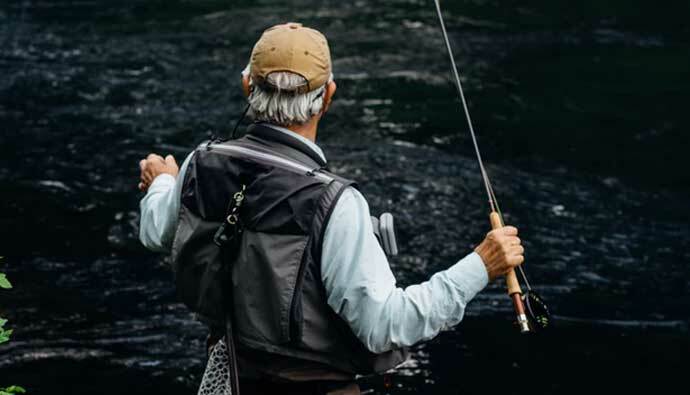 Once your fly rod is completely dry and stored in the rod bag and carrying case, if available, keep the rod stored in a dry relatively temperature constant environment for optimal protection. 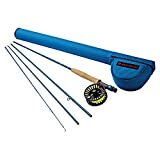 Echo Base Kit 690/4 Fly Rod Outfit 6 Weight 9'0"
For a beginner rod, either the Echo Base Outfit or the Reddington Crosswater will work great. Plus they come with a reel and line…it’s hard to beat what you get for the price. These are two of the most popular beginner’s setups out there. They’re around $150 for a rod, reel, and line. It’s a bargain and they’re great rods. They’re rods that even when you become a more advanced fisherman, you’re going to keep, either as a loner or as a trout rod. You can’t go wrong with either and you’re gonna continue to use it for years to come. TFO is a reputable brand that’s found in many of the best fly shops across the USA. If you’re looking for a rod that will step up your angling above what the Echo Base or Reddington Crosswater can handle, this is a great “next rod” for your arsenal. Whether you’re going for GTs out on a reef or flying from a boat. This is your saltwater rod of choice by one of the best fly rod manufacturers around. Sage is a great fly rod company and you won’t be disappointed by this rod tailored specifically to bass fly fishing. This could also be considered one of the best beginner rods along with the Echo Base Outfit. As mentioned above: these rods will still be used when you’ve become a more advanced fisherman. You’re going to keep, either as a loner or as a trout rod. Fly fishing is a sport that can be a very rewarding experience. It allows you to explore and see sights you may not ordinarily see. When fly fishing, you are just about as close to the action as you can get. Whether you are wading in a small stream or a river, it will no doubt be an adventure you will never forget and definitely want to do again. 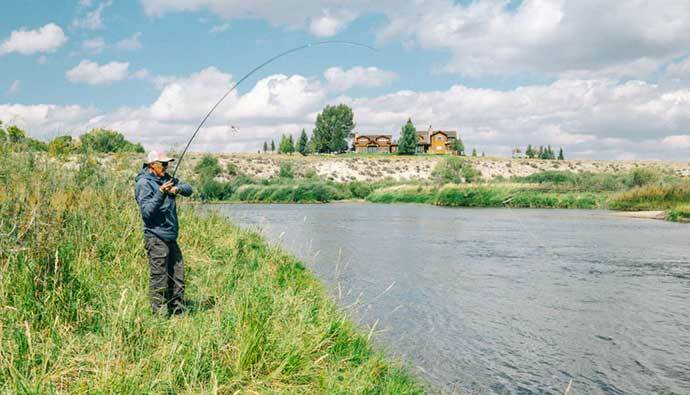 A few final reminders before going out on your fly fishing adventure. Be sure to have the following items to make your trip more enjoyable and rewarding. Q: Who makes Cabelas fly rods? Q: Who makes Cabelas fly reels? A: Prestige Premier and the WLX are made by Lamson; the Prestige Plus and RLS are made by Okuma. Q: What size fly rod for bass? Q: What size fly rod? Q: What size fly rod for salmon? Q: What size fly line to use? Q: What does the weight of a fly rod mean? Q: What length fly rod? Q: What does fly fishing mean? A: The sport of fishing using a rod and an artificial fly as bait. Casting a nearly weightless fly or “lure” requires casting techniques significantly different from other forms of casting. Q: What weight fly rod for trout? Q: What size fly rod for trout? Q: When was fly fishing invented? 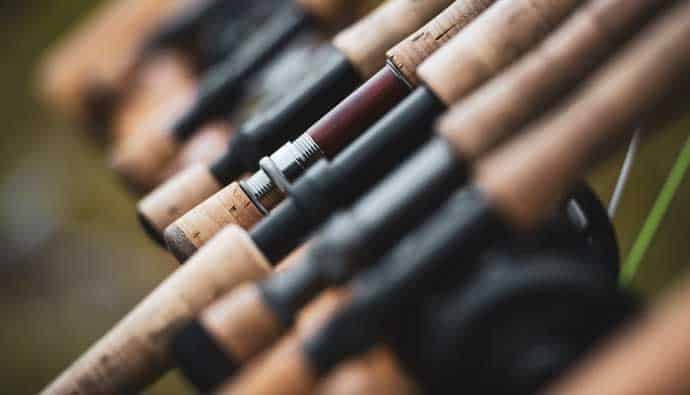 Q: How to select a fly rod? A: This will depend on where you will be fly fishing and the size of fish you will be going after. 9 foot in length is considered common and 8-9 weight will handle an assortment of fish. Q: How do you set up a fly rod and reel? A: Attach your reel to the rod, following the manufacturer’s instructions. Generally, the reel slides onto the rod and locks in place. Retrieve your backing, and pull off about 20-30 yards (100 feet or so). The amount will vary depending on your spool size and reel weight. The reel manufacturer will suggest the amount of backing to use. The trick is you want to spool enough backing so that the backing and line fill the arbor. Pull off about 2-3 feet of your fly line and tie the fly line to the backing using an Albright knot. Then pull off another 30 yards of fly line and clip it. To get the right amount of backing, spool the fly line and backing onto the reel, but do it in reverse initially. Start with the fly line first. You want about 30 yards of fly line if using the general use Rod/Reel combination we recommended. Keep the line taut as you spool it, and make the line/backing go evenly across the spool/arbor. The line spools from the bottom of the reel. Keep spooling the line until it gets close but not touching the outer rim. Once it’s close, trim off the extra backing. Remove the backing and fly line. Tie the backing to the arbor using an Arbor Knot. Again, keep the line taut, spool it evening spreading the line across the reel. Remember, spool from the bottom. Make a loop at the end of the fly line using a braid knot. This loop will allow you to attach the leader loop to the fly line easily, so you can quickly change out leaders. Attach the leader using a loop to loop knot. To attach the tippet to the leader, use a double or triple surgeon’s knot. Finally, use an improved clinch knot to attach a fly to the tippet. Q: What is the best fly rod for beginners? Q: What is the most expensive fly rod? 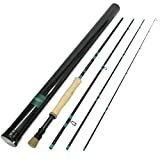 A: Oyster Bamboo Fly Rod – $4,600.00 and there are a few much higher ones.